Born: 7 May 1885, Koeberg, Western Cape, South Africa. Died: 13 July 1954, Bloemfontein, South Africa. Thomas Frederik (or Frederick) Dreyer, son of Melt van der Spuy Dreyer and his wife Maria E. de Villiers, was educated in Cape Town at the South African College School, where he matriculated in 1901. He continued his studies at the South African College in 1902 and was awarded the degree Bachelor of Arts, with honours in zoology, by the University of the Cape of Good Hope in 1905. Towards the end of that year he was appointed in the Cape Town office of the government entomologist of the Cape Colony, C.P. Lounsbury*, where his main work was to inspect nurseries. A scholarship enabled him to resign in July 1907 to continue his studies at the University of Halle, Germany, where he graduated as Doctor of Philosophy (PhD) in 1910. After visits to educational and agricultural institutions in the United States and Australia returned to South Africa later that year. Upon his return Dreyer was appointed assistant entomologist in the Department of Agriculture of the Union of South Africa, serving from 1911 as lecturer in biology and economic entomology at the Grootfontein Agricultural College. In 1912 he became lecturer in zoology and geology at Grey University College (later the University of the Free State) in Bloemfontein. He was promoted to professor of zoology from the beginning of 1917, a post that he held until his retirement in 1950. As Grey College was one of the constituent colleges of the University of South Africa, he served as a member of senate of the latter for many years and as chairman during 1930-1932 and 1938-1940. He also served for some years during the nineteen-forties as chairman of the college senate. He played a leading role in the transition of the college into the University of the Free State in 1950. Dreyer's zoological publications included two papers on the slugs: "A contribution to our knowledge of the reproductive organs of the Nudibranchiata" (Report of the South African Association for the Advancement of Science, 1911) and "On the salivary and mouth glands of the Nudibranchiata" (Transactions of the Royal Society of South Africa, 1913, Vol. 3). Two further papers dealt with a common species of amphibian: "The 'Plathander' (Xenopus laevis) (Ibid, 1913, Vol. 3) and "The morphology of the tadpole of Xenopus laevis" (Ibid, 1914/15, Vol. 4). Subsequent papers described "A Mesostoma from Bloemfontein (M. karrooense, n. sp.)" (Ibid, 1915/16, Vol. 5) and "Mestoma Antarcticum (sp. nov.) from Bloemfontein" (Ibid, 1918/19, Vol. 7), tiny worms similar to a related species from Tierra del Fuego. Two other papers dealt with "A suggested mechanism for the inheritance of acquired characters" (Report of the South African Association for the Advancement of Science, 1917) and "Discontinuous distribution in a few mammalian groups" (Ibid, 1918). He also published a popular book, Ons dierewereld (Our animal world; Bloemfontein, 1919, 127p), and an article on "South African moles" in the Agricultural Journal of the Cape of Good Hope (1910). 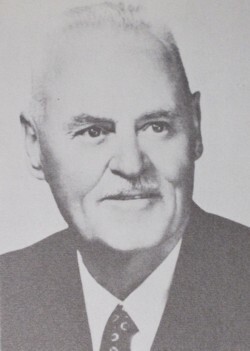 Dreyer became internationally known for his palaeo-anthropological and archaeological research at Matjes River shelter (near Plettenberg Bay), Florisbad (a salt pan north-east of Bloemfontein), and along the Orange River. At Matjes River, during the 1928-1929 vacation and subsequent visits, he excavated a deep Stone Age deposit which yielded many animal and human remains, the latter considered to be of the Boskop type. This work was described (with A. Lyle) in New fossil mammals and man from South Africa (Bloemfontein, 1931, 60p). Later he described the stone tools found at the site in "The archaeology of the Matjes River rock shelter" (Transactions of the Royal Society of South Africa, 1934, Vol. 21), identifying them as of the Smithfield, Wilton, and Mossel Bay types. One of the human skulls recovered was described by him in "The significance of the Bushman skull" (Soologiese Navorsing van die Nasionale Museum, 1936, Vol. 1). Meanwhile he had started excavations at Florisbad, where numerous stone tools and animal remains were recovered. In 1932 he found the famous Florisbad human skull, which he named Homo helmei in honour of Captain C. Egerton Helme, who financed the excavation. The skull was first described by him in "A human skull from Florisbad, Orange Free State..." in the Proceedings of the Academy of Sciences, Amsterdam (1935). However, the name was not widely adopted and the fossil is widely regarded as belonging to Homo sapiens. He described "The archaeology of the Florisbad deposits" in Argeologiese Navorsing van die Nasionale Museum (Vol. 1, pp. 65-77) in 1938. In 1937 he led the excavations of Khoi graves found along the Orange River between Douglas and Augrabies Falls. The findings were described in "A preliminary report on an expedition to collect old Hottentot skulls" (Soologiese Navorsing van die Nasionale Museum, Bloemfontein, 1937, Vol. 1, with A.J.D. Meiring) and "The Hottentot" (Navorsing van die Nasionale Museum, Bloemfontein, 1952, with A.J.D. Meiring). The human and animal remains, as well as the cultural artefacts recovered from all these excavations were housed in the National Museum, Bloemfontein, where the Dreyer Memorial Hall was named in his honour. Dreyer was a member of the Royal Society of South Africa. He joined the South African Association for the Advancement of Science in 1915 and served on its council during at least 1918/19. He had a penetrating intellect, an outstanding memory, and boundless enthusiasm for his work. After his retirement he worked part-time for three years in the Department of Anthropology and Archaeology of the National Museum in Bloemfontein. At times he acted also as chairman of the museum's board of control. He was awarded an honorary Doctor of Science (DSc) degree by the University of the Witwatersrand in March 1954, in recognition of his contributions to knowledge of prehistory. He advised the Free State with respect to the establishment of an inland fishing industry, and for some time was a member of the Bloemfontein city council. One of the city's streets was named after him. He was married to Cornelia J. Greeff, with whom he had a son and three daughters. Argeologiese Navorsing van die Nasionale Museum (Bloemfontein), 1938, Vol. 1: Paper by Dreyer. Cape of Good Hope. Report of the government entomologist, 1905, 1906, 1907. Hoffman, A.C. Thomas Frederik Dreyer, 1886-1954. Navorsing van die Nasionale Museum, Bloemfontein, 1955, Vol. 1, pp. 185-186. National Automated Archival Information Retrieval System (NAAIRS). http://www.national.archives.gov.za/naairs.htm Documents relating to Dreyer, T.F. Obituary: Thomas Frederick Dreyer, BA, PhD, DSc. South African Journal of Science, 1954, Vol. 50, pp. 79-80. Royal Society of South Africa. Transactions, 1913-1919, Vol. 3-7 and 1932-1934, Vol. 20-22: Papers by Dreyer and list of members. Soologiese Navorsing van die Nasionale Museum (Bloemfontein), 1936-1937, Vol. 1: Papers by Dreyer. South African Association for the Advancement of Science. Report, 1911, 1917, 1918: Papers by Dreyer and list of members. Standard encyclopaedia of southern Africa (SESA) (various entries). Cape Town: NASOU, 1970-1976.